This simply elegant Pyramid Raised Elevated Dog Bowl features a broad base that ensures your pets raised dog bowl feeder will not tip or slip away at meal time. The Pyramid Raised Elevated Dog Bowl comes with non-skid plastic tips on feet of the raised dog dish feed stand. 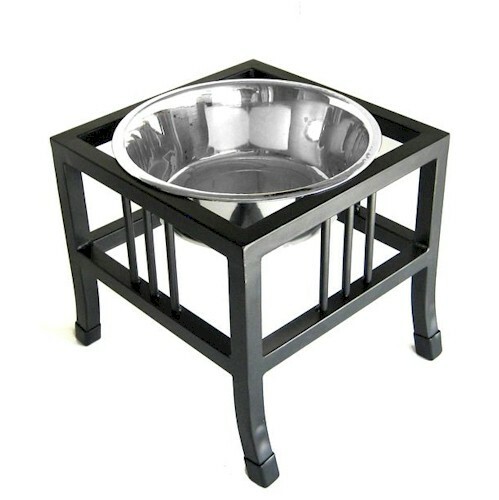 This elevated Pyramid Raised Elevated Dog Bowl feeder is perfect for all dogs of any size. The raised elevated dog bowl is available in 3 sizes. It allows your dog to eat in a natural position which improves overall health and posture.